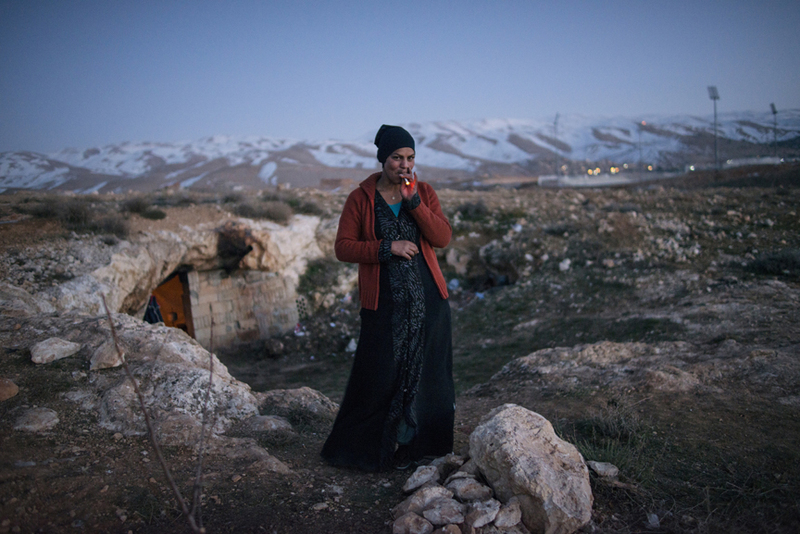 Dalal, 21, a Syrian refugee from the Damascus suburbs stands in front of the cave she and her family have been staying in since crossing into Lebanon roughly a week prior, in Baalbak, Lebanon, January 22, 2013. Lebanon has been refusing to set up typical tent camps for refugees in the manner Turkey and Jordan have done, and so refugees are forced to live underneath commercial buildings, in makeshift tents, and with families around the country. The United Nations estimates that the number of Syrian refugees currently in countries bordering Syria has risen to 600,000, and there registered number of refugees in Lebanon, alone, is roughly 200,000.